We rely on our prisons to help keep us safe, to care for over 85,000 inmates every day, and to rehabilitate criminals back into our society. But cuts and privatisation have put our prisons under increasing pressure over recent decades, putting both inmates and staff in danger. In 1992, Wolds Prison in Yorkshire became the first modern European prison to be run by the private sector. G4S, the company who ran Wolds Prison, has now been stripped of this contract but the number of our prisons in the private sector has grown to 14. We now have a higher percentage of privatised prisons than the US even though privatised prisons cost us more than public prisons. Privatised prisons house 15% of our prison population, yet the government spends 23% of its prison budget on private prisons. The maths just doesn’t add up. While the pressure of increased budget cuts has hit all of our prisons over recent years, privatisation makes this worse. The private companies running our prisons aim for around 8-10% profit margins, meaning less money for our prisons and more money for them. To do this, private companies hire less well-trained staff and reduce wages – which are around 23% lower than in public prisons. Meanwhile, companies like G4S encourage prisoners to work 40 hour weeks yet can pay them as little as £2 a day. 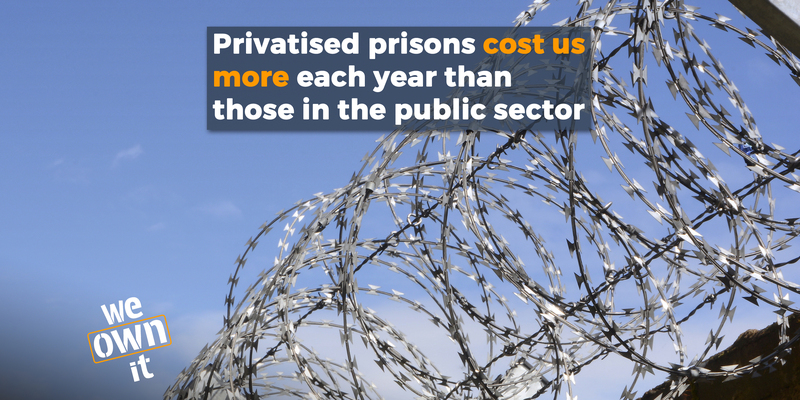 But despite all this cost-cutting, privatised prisons actually cost us more each year than those in the public sector. In 2013, two of the three worst performing prisons in the country were privately run. For the past 17 years, private prisons have been more likely to hold prisoners in overcrowded accommodation than public sector prisons. Over one third of people in private prisons were held in overcrowded accommodation in 2014-15. Fewer and less well-trained staff means that private prisons also do worse in terms of security than prisons in our public sector. Serco, G4S and Sodexo – the three international, multi-billion pound corporations currently running our prisons – have all had problems with security. In 2016, there was drug-fuelled violence at Sodexo’s Forest Bank prison and riots at a G4S prison in Birmingham. Violence at a Doncaster prison run by Serco was revealed to be four times higher than at other similar sized prisons. A 2015 report revealed that prison staff at a G4S youth prison (who were high on illegal drugs) had treated the children in their care in a racist and degrading way. When private companies cut costs by reducing staff and training, they make both staff and inmates in our prisons vulnerable. A recent BBC Panorama report on the privatised HMP Northumberland showed a state of crisis in our prisons, made worse by the pressures of the private sector. The following video reveals the terrible situation in the prison and the dangers facing both staff and inmates. Government cuts meant HMP Northumberland was sold off in 2014 to Sodexo, who promised savings of £130 million over 15 years. But these cuts came at a price. At the time of privatisation, the Prison Officers Association warned that private sector cost cutting could lead to escapes and riots. Last year there was a riot at the prison and the recent BBC documentary shows balaclavas, wire cutters, and prisoners escaping compounds to smuggle in drugs. Prisons have a responsibility to rehabilitate those in our penal system, teaching them skills that will help them find work after prison. However, at Sodexo’s HMP Northumberland, instead of teaching life skills employability workshops involved inmates colouring in pictures of the children’s TV character Peppa Pig. This is not what we want for the future of our prisons. The criris at HMP Birmingham didn't stop with the 2016 riots. In many ways the situation got worse. Violence escalated in 2017 and a heavy presence of drug use in the prison continued. In September 2017, disturbances led to one inmate being hospitalised. Thirteen prisoners died over 2017 and 2018. In August 2018, the crisis at Birmingham prison - which was described by the Chief Inspector of Prisons as the worst prison he had ever been to - became so acute that the government brought it into state control. By April 2019, the government terminated the contract with G4S and brought it permanently into public ownership. The story of G4S' running of HMP Birmingham is one of the clearest demonstrations of privatisation failing our prisons. Arguably, where there's a need to manage force and violence, it should be the state that is in charge - rather than private companies or individuals. Private companies shouldn't be responsible for the detention and discipline of people. They're not democratically accountable or transparent in the way government is. So we should put prisons back into the hands of the public. Many of the earliest private prisons contracts will be renewed soon - we must use this opportunity to roll back privatisation. To find out more about the state of our prisons, visit the websites of the Prison Reform Trust and the Howard League for Penal Reform. 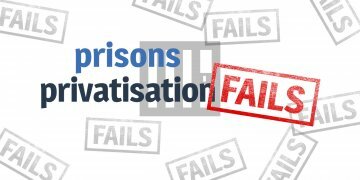 Help rescue our prisons – say no to privatisation!